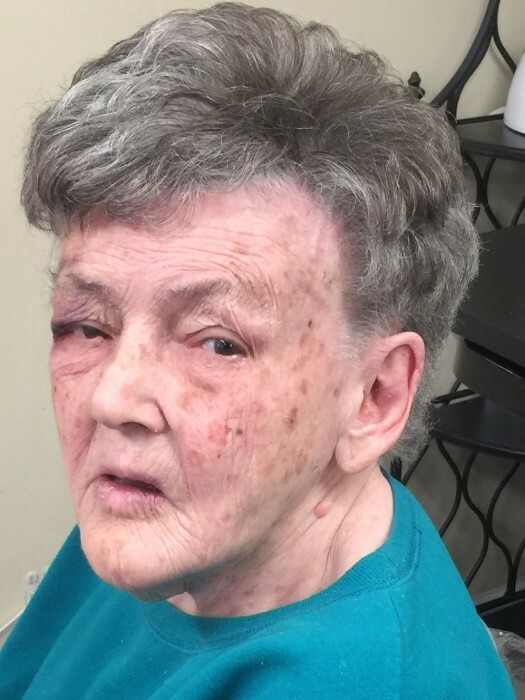 Grace Irene “Gracie” Blagg, age 83, of Morristown, went to be with the Lord on Sunday, March 17, 2019 at Life Care Center of Morristown. She was the sweetest little soul and quickly became friends with everyone she met. She is preceded in death by her parents, Charles R. and Mary P. Blagg; sister, Donna Swisher; and brother, Clyde Blagg. She is survived by her brothers, Charles, Michael, David, Harry, Maurice, Joseph and Ronald Blagg; sisters, Lillie Lyons, Carolyn Caves, Rose Hoglund, Pam Lethco, June Alice and Kathy Blagg; nieces, Tammy Templin and Melissa McClanahan; nephew, Charles Lethco; along with several great nieces and nephews. The family would like to give a special thanks to Smokey Mountain Hospice and Life Care Center Nursing Home for all the love and concern they showed Grace during her sickness. In lieu of flowers, donations can be made in Gracie’s name to Life Care Center Activities Department or Smokey Mountain Hospice. The family will have a small private service.